Fields of Interest: Biodiversity Assessment, Phytosociology, Plant Phenology, Climate Change and Taxonomy. SRF in DBT funded project “Development of National Database of Mango” from 08 Jun. 2016 to 31 Mar. 2017 at ICAR-Central Institute for Subtropical Horticulture, Rahmankhera, Lucknow, India. Researcher Level II in ICIMOD funded project “Kailash Sacred Landscape Conservation and Development Initiative” from 21 Mar. 2014 to 08 Dec. 2014 at G.B. Pant Institute of Himalayan Environment & Development, Almora, India. Project Assistant in MoEF funded project “Taxonomy and Ecology of Himalayan Genus Oxytropis DC. (Leguminosae) In India” from 02 Apr. 2012 to 24 Nov. 2013 at CSIR-National Botanical Research Institute, Lucknow, India. Project Assistant in CSIR Networking Project entitled “Exploratory Studies on Climate Change and Adaptation of Species Complexes” from 24 Nov. 2008 to 31 Mar. 2012 at CSIR-National Botanical Research Institute, Lucknow, India. Lecturer in Janta P.G. College, Bakewar, Etawah, U.P., (C.S.J.M. University, Kanpur) from 24 Aug. 2008 to 30 Nov. 2008. National - Post Doctoral Fellowship (N-PDF) by SERB, Department of Science & Technology, Government of India, New Delhi, India. Fellow of Association of Plant Taxonomy (FAPT), Dehradun, India. First prize (Poster Presentation 2013), UGC-Sponsored National Conference on “Resource Management & its Sustainable Use” held on 22-23 Mar. 2013, Pt. Lalit Mohan Sharma Govt. P.G. College (An Autonomous Institution), Rishikesh, Dehradun, Uttarakhand. Role of multi-scale climatic and edaphic variables in the succession of tree species in the Himalayan Terai region of India. Funded by SERB, DST, Govt. of India. Omesh Bajpai, Venkatesh Dutta, Lal Babu Chaudhary and Jitendra Pandey (2018) Key issues and management strategies for the conservation of the Himalayan Terai forests of India. International Journal of Conservation Science 9(4): 749-760. Monika Saini, Venkatesh Dutta, Nagendra Prasad Singh and Omesh Bajpai (2018) Modeling and assessing land-use and hydrological regimes to future land-use scenario for sustainable watershed management in a semi-arid region of southern India. Environmental Sustainability 1: 393-409. Sugam Gupta, Omesh Bajpai, Himanshu Rai, Dalip Kumar Upreti, Pradeep Kumar Sharma and Rajan Kumar Gupta (2018) Untangling Quantitative Lichen Diversity in and Around Badrinath Holy Pilgrimage of Western Himalaya, India. Journal of Graphic Era University 6(1): 36-46. Omesh Bajpai, Shraddha Suman and Nirmala Upadhyay (2017) Ecological exploration of Kuwana forest A tropical moist deciduous forest of eastern Terai, India. Annals of Plant Sciences 6(12): 1811-1816. K. Chandra Sekar, R. S. Rawal, Aniket Chaudhery, Aseesh Pandey, Gajendra Rawat, Omesh Bajapai, Bhaskar Joshi, Kapil Bisht, Brij Mohan Mishra (2017) First GLORIA Site in Indian Himalayan Region: Towards Addressing Issue of Long-Term Data Deficiency in the Himalaya. National Academy Science Letters, 40(5): 355-357. Omesh Bajpai, Jitendra Pandey and Lal Babu Chaudhary (2017). Periodicity of different phenophases in selected trees from Himalayan Terai of India. Agroforestry Systems, 91: 363-374. Sugam Gupta, Roshni Khare, Omesh Bajpai, Himanshu Rai, Dalip K. Upreti, Rajan K. Gupta and Pradeep K. Sharma (2016). Lichen as Bioindicator for Monitoring Environmental Status in Western Himalaya, India. International Journal of Environment, 5(2): 1-15. H. Eden W. Cottee-Jones, Omesh Bajpai, Lal Babu Chaudhary and R. J. Whittaker (2016). The importance of Ficus (Moraceae) trees for tropical forest restoration. Biotropica, 48(3): 413-419. Vimal C. Pandey, Omesh Bajpai and Nandita Singh (2016). Energy crops in sustainable phytoremediation. Renewable and Sustainable Energy Review, 54: 58-73. Omesh Bajpai, Jitendra Pandey and Lal Babu Chaudhary (2016). Ethnomedicinal uses of tree species by Tharu tribes in the Himalayan Terai region of India. Research Journal of Medicinal Plant, 10(1): 19-41. Omesh Bajpai, Jitendra Pandey and Lal Babu Chaudhary (2015). Consequences of western disturbance-triggered cooling on the tree flowering in Himalayan Terai region. Current Science, 109(10): 1781-1782. Vimal C. Pandey, Omesh Bajpai and Nandita Singh (2016). Plant regeneration potential in fly ash ecosystem. Urban Forestry & Urban Greening, 15: 40-44. Omesh Bajpai, Anoop Kumar, Awadhesh Kumar Srivastava, Arun Kumar Kushwaha, Jitendra Pandey and Lal Babu Chaudhary (2015). Tree species of the Himalayan Terai region of Uttar Pradesh, India: a checklist. Check List, 11(4): Article no. 1718. Anoop Kumar, Omesh Bajpai, Ashish K. Mishra, Nayan Sahu, Soumit K. Behera, Surendra S. Bargali and Lal Babu Chaudhary (2015). A checklist of the flowering plants of Katerniaghat Wildlife Sanctuary, Uttar Pradesh, India. Journal of Threatened Taxa, 7(7): 7309-3408. Omesh Bajpai, Arun Kumar Kushwaha, Awadhesh Kumar Srivastava, Jitendra Pandey and Lal Babu Chaudhary (2015). Phytosociological status of a monotypic genus Indopiptadenia: A Near Threatened Tree from the Terai-Bhabar Region of Central Himalaya. Research Journal of Forestry, 9(2): 35-47. H. Eden W. Cottee-Jones, Omesh Bajpai, Lal Babu Chaudhary and R. J. Whittaker (2015). Isolated Ficus trees deliver dual conservation and development benefit in a rural landscape. AMBIO, 44: 678-684. Vimal C. Pandey, Omesh Bajpai, Deep Narayan Pandey and Nandita Singh (2015). Saccharum spontaneum: an underutilized tall grass for revegetation and restoration programs. Genetic Resources and Crop Evolution, 62(3): 443-450. Anita Mehra, Omesh Bajpai and Hema Joshi (2014). Diversity, utilization and sacred values of Ethno-medicinal plants of Kumaun Himalaya. Tropical Plant Research, 1(3): 80-86. Vimal C. Pandey, Prem Prakash, Omesh Bajpai, Akhil Kumar and Nandita Singh (2014). Phytodiversity on fly ash deposits-evaluation of naturally colonized species for sustainable phytorestoration. Environmental Science and Pollution Research, 22(4): 2776-2787. Lal Babu Chaudhary, Anoop Kumar, Ashish K. Mishra, Nayan Sahu, Jitendra Pandey, Soumit K. Behera and Omesh Bajpai (2014). Tree resources of Katerniaghat wildlife sanctuary, Uttar Pradesh, India with especial emphasis on conservation status, phenology and economic values. International Journal of Environment, 3(1): 122-133. Omesh Bajpai, Awadhesh K. Srivastava, Arun K. Kushwaha and Lal Babu Chaudhary (2014). Taxonomy of a monotypic genus Indopiptadenia (Leguminosae-Mimosoideae). Phytotaxa, 164(2): 61-78. अनूप कुमार, ओमेश बाजपेयी एवं एल. बी. चौधरी (2013). कतेर्नियाघाट वन्यजीव अभ्यारण्य में पादप विविधता. विज्ञानवाणी, 19: 45-49. Lal Babu Chaudhary, Omesh Bajpai, Soumit K. Behera and Nayan Sahu (2013). A new species of Oxytropis (Fabaceae: Papilionoideae) from India. Phytotaxa, 155(1): 50-58. Ashish K. Mishra, Soumit K. Behera, Kripal Singh, Nayan Sahu, Omesh Bajpai, Anoop Kumar, R.M. Mishra, L.B. Chaudhary and Bajrang Singh (2013). Relation of forest structure and soil properties in natural, rehabilitated and degraded forest. Journal of Biodiversity Management & Forestry 2(4): 1-8. Ashish K. Mishra, Omesh Bajpai, Nayan Sahu, Anoop Kumar, Soumit K. Behera, R.M. Mishra and Lal Babu Chaudhary (2013). Study of Plant Regeneration Potential in Tropical Moist Deciduous Forest in Northern India. International Journal of Environment, 2(1): 153-163. Omesh Bajpai, Sujata Mishra, Narendra Mohan, Jitendra Mohan, Rajan K. Gupta (2013). Physico chemical characteristics of Lakhna Devi temple water tank, Lakhna, Bakewar, Etawah, U.P. with reference to Cyanobacterial diversity. International Journal of Environment, 1(1): 20-28. Omesh Bajpai, Anoop Kumar, Ashish K. Mishra, Nayan Sahu, Jitendra Pandey, Soumit K. Behera and Lal Babu Chaudhary (2012). Recongregation of tree species of Katerniaghat Wildlife Sanctuary, Uttar Pradesh, India. Journal of Biodiversity and Environmental Sciences, 2(12): 24-40. Anoop Kumar, Omesh Bajpai, Rinkey Tiwari, Jana V. Sudhakar and Lal Babu Chaudhary (2012). Taxonomic notes on the identity and nomenclature of Ficus assamica Miq. (Moraceae). Phytotaxonomy, 12: 82-88. Lal Babu Chaudhary, Jana V. Sudhakar, Anoop Kumar, Omesh Bajpai, Rinkey Tiwari and G.V.S. 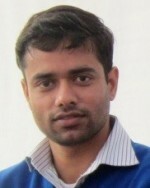 Murthy (2012). Synopsis of the genus Ficus L. (Moraceae) in India. Taiwania, 57(2): 193-216. Omesh Bajpai, Anoop Kumar, Ashish K. Mishra, Nayan Sahu, Soumit K. Behera and Lal Babu Chaudhary (2012). Phenological study of two dominant tree species in tropical moist deciduous forest from the northern India. International Journal of Botany, 8(2): 66-72. Soumit K. Behera, Ashish K. Mishra, Nayan Sahu, Amrit Kumar, Niraj Singh, Anoop Kumar, Omesh Bajpai, Lal Babu Chaudhary, Prem B. Khare and Rakesh Tuli (2012). The study of microclimate in response to different plant community association in tropical moist deciduous forest from northern India. Biodiversity and Conservation, 21: 1159-1176. Anoop Kumar, Omesh Bajpai, Ashish K. Mishra, Nayan Sahu, Soumit K. Behera and Lal Babu Chaudhary (2011). Assessment of diversity in the genus Ficus L. (Moraceae) of Katerniaghat Wildlife Sanctuary, Uttar Pradesh, India. American Journal of Plant Sciences, 2: 78-92. Faculty Development Program on Biostatistics : Theoretical and Practical Aspects. Held on Department of Botany, Deen Dayal Upadhyaya College (University of Delhi), New Delhi during 14-18 Mar. 2018. TEOIP-II Sponsored one week faculty development programme. Held at Department of Environmental Engineering, Delhi Technical University, Delhi during 24-28 Oct. 2016. Workshop on Methods and Approaches in Plant Systematics. Held at CSIR-National Botanical Research Institute, Lucknow during 5-14 Dec. 2011. Founder member of ‘Society for Tropical Plant Research’.